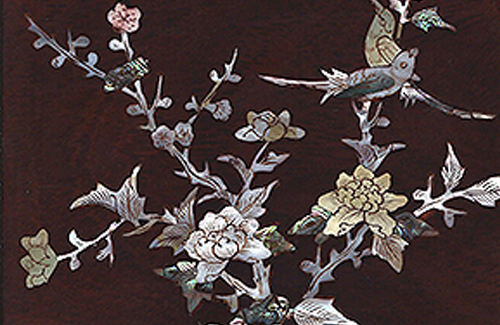 Rosewood Furniture - Oriental Furniture - Chinese Furniture - Direct from the Factory ! Classic and contemporary Rosewood Furniture , Oriental furniture, Chinese Furniture - from our huge range of standard items - or built to your specifications - Direct from the Factory at the best possible prices. Please e mail me on sales@rosewoodfurniture.co.uk for further information. Can I modify the items on your site for size etc. ? Yes of course - this is our speciality. Why waste your time looking for something to fit a space in your room. We are bespoke specialists. Our factory can make any product - in any style - to any size. Please ask for details. They takes great pride in producing clients Bespoke items. The end product always exceeds our clients expectations. 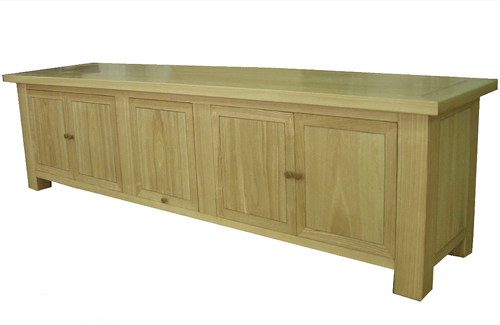 We believe our Oriental Furniture offers outstanding value for money. By trading on the internet and keeping our overheads low - we pass the savings on to you. Objects of beauty which will become the "Antiques of the Future " With our choice of 4 wood types and 5 colour stains - as well as a range of finishes from Matt to High Gloss - the choice is ours. 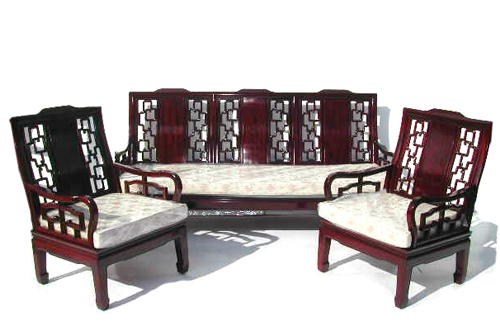 We believe truly that ours is the finest Chinese Furniture that you can buy. Our confidence in our relationship with the factory has been forged over the past 23 years of trade. Many containers of beautifully made and presented work ensure our customers come back time and time again. Now you can buy DIRECT from the factory - just complete a Quotation form and leave the rest to us. You pay the factory directly - by Credit Card or TT and we will handle the rest for you from here in the U.K. including all correspondence with the Factory. See our Facebook feed below - we will regularly add photos of our Customers Furniture that we have supplied - so you get a feel for the quality we can offer. Worldwide - We Deliver direct from the factory to your nearest Port ! If you live outside of the UK - we can offer fantastic deals based on shipping Direct to your nearest Sea Port from the factory . As we do not have to handle the goods - we make only a token profit to cover the paperwork - and thus we can keep our costs VERY VERY LOW. For example if you are based in the USA - any retailer has to ship over containers, pay all haulage and handling fees as well as customs charges - ship to their retail outlet - and also cover the overheads of running their store and staff - BEFORE making any profit. We just offer the same product shipped in a crate WORLDWIDE - directly from the Factory to your nearest Sea Port - where you can then simply hire a Uhaul or similar - to go and collect the furniture yourself - saving all the costs above. Ask us to quote a deliver anywhere in the World - you will be amazed at how low the prices will be in comparison to your retail outlets. All our worldwide sales are shipped with full "All Risks Insurance" to cover you . Please see our testimonials page for some of our customers comments. We offer a range of colours from Natural right through to almost black. Any item on our site can be finished in any of these colours. 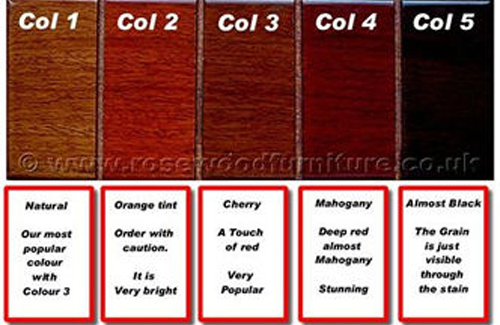 If you already have rosewood which may have faded with age - we can colour match to your photos ( The factory will mix 3 colours light / Medium and Dark ) and supply a free sample for you to choose from before the stain is applied. Feel free to choose from our huge collection - of over 1400 items now on this website. In addition to this - we can built to any specification - copy an item you may have sen and liked - from either drawings or from a photo . The Factory pride themselves on their bespoke work - and are always happy to advise on the structural aspect of furniture - so feel free to ask.